Considered a masterpiece, this 8-session educational series is taught by Dr. Eli Goldratt. He shares his life\'s work revealing the required changes to get fast results in today\'s global and competitive environment and establishing a foundation for future success. 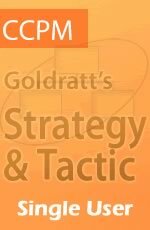 The content of this section contains past or unreleased presentations where Dr. Eli Goldratt shares his analysis and developments on specific topics. Access: Limited to TOC.tv Subscribers. Based on the best-selling book by Eli Goldratt, the movie follows Alex Rogo, a plant manager, and his team as they use the Theory of Constraints to transform their division to avoid their plant`s closure. Presenter: All American Media Inc.
Dr. Eli Goldratt reveals what is necessary and sufficient to get fast results in today\'s bottom-line oriented economy and establish a foundation for future successes. Dr. Goldratt delivers his latest development on the know-how to implement the TOC solution for managing projects (CCPM) to create a decisive competitive edge. Dr. Goldratt delivers his latest development on the know-how to implement the TOC solution for make to availability (MTA) to create a decisive competitive edge. 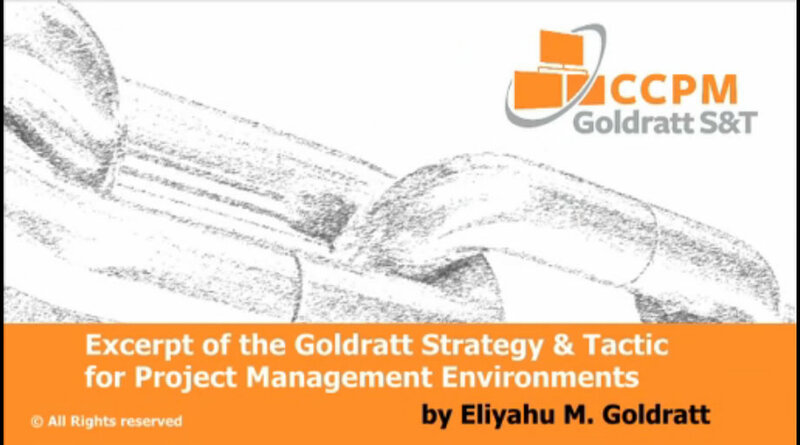 Dr. Goldratt delivers his latest development on the know-how to implement the TOC solution for managing projects (CCPM) to create a decisive competitive edge. 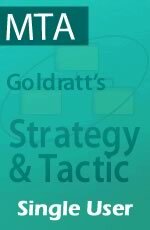 View this extract of theGoldratt Strategy and Tactic Critical Chain Program on Project Management to judge its scope and quality. Dr. Eli Goldratt delivers his latest development on the know-how to implement the TOC solutions to create a decisive competitive edge by moving from Make to Stock (MTS) to Make to Availability (MTA) in the consumer goods environment. View this extract of the first 15 minutes of the GST-MTA to judge its scope and quality.